For I was hungry and you gave me food, I was thirsty and you gave me drink, a stranger and you welcomed me, naked and you clothed me, ill and you cared for me, in prison and you visited me…Amen, I say to you, whatever you did for one of the least brothers of mine, you did for me. Toward the end of my graduate courses in theology, I took a class on ministry through the life cycle. During our class on welcoming young families in the parish, we watched a video of a speaker encouraging pews full of mothers that their work as a parent answered the call of Matthew’s Gospel to feed the hungry, clothe the naked, and tend to the sick. Whenever they cared for their children—the least among us—they were caring for Christ himself. When the video ended, my hand shot up. And with the confidence that one can only muster before having children, I declared that this so-called parenting expert had it wrong. The idea that Christ’s commandment to care for the poor and needy—the very criteria by which we will be judged at the end of times—could be satisfied by raising one’s own kids? It was a complete cop-out. It was really about justice, I argued. It was really about solidarity. It was really about radical love for marginalized members of society. It was not about dirty diapers and baby bottles and car pools and doctor’s visits. If anything, I argued, Christian parents were called to teach their children what it meant to actually visit prisoners, to actually welcome strangers, to actually feed the starving. Anything less was simply the watering down of Christ’s call. Years later, I can tell you with just as much confidence that I only had it half-right. I still believe that parents have a duty to raise their children to care for those in poverty and need. I still maintain that the watering down of the Gospel is an alarming trend for those of us who live in relative comfort and wealth. I still argue that Christ’s call in Matthew’s Gospel is about radical love and charity and service— a disturbing reminder for we who squirm in the pews and wonder if our lives will set us on the right or the left side on judgment day. But what I have learned in the years since I became a parent is this truth. If I don’t see Christ in my children and serve their daily needs with love, then I’ve failed this Gospel call as well. I can claim to work for justice but treat my own family unfairly. I can claim to love my brothers and sisters around the world but struggle to love those in my own house. I can claim to care for the poor but miss the needs of those right before my eyes. Every day my children cry out because they are hungry, thirsty, scared, angry, or lonely. I scoop them up with kisses and promise to tend to their needs. And that is exactly what I am called to as a parent. But every day there are children just like them who cry out and aren’t heard. Children who hunger and aren’t fed. Children who thirst and have no clean water. Children who suffer and die from diseases that have simple cures. And if I don’t care about these children, too—if I don’t share my resources, if I don’t change my habits to live more generously, if I don’t teach my children that caring for the poor and working for justice go hand in hand—then I haven’t seen Christ in all his many faces. From where I stand now as a mother of three, I see that my grad-school, child-free self was both right and wrong. Christ’s call to justice is radical and cannot be domesticated. But domestic love can also be the most radical. It is dirty and demanding, exhausting and every day. It is Christ in my children’s eyes and Christ in the children beyond my front door. My care as a parent is not limited to those I have been given to raise. It is for all who cry out for the things my children enjoy whenever they need: clean water, healthy food, warm clothes, and safe shelter. To do any less is to ignore the face of Christ. 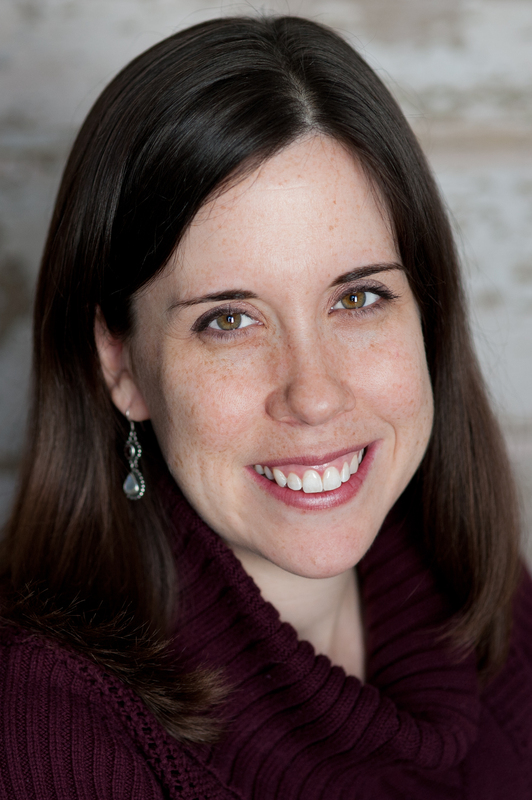 Laura Kelly Fanucci, MDiv, is a mother of three and the Research Associate with the Collegeville Institute Seminars. She is the author of Everyday Sacrament: The Messy Grace of Parenting and writes about spirituality and parenting at Mothering Spirit.